Hello blog visitors, Kirsten here. I hope your Tuesday has been wonderful. It’s grey & chilly here, so I guess our Summer was the few nice days we had last week. Did you read Lisa’s epic post about last Saturday yesterday? If not, you can find it HERE. Between us we’ll be posting more photos of the day along with various samples in the coming days. Everything is available & Lisa is working hard to get it on to the website as soon as possible. 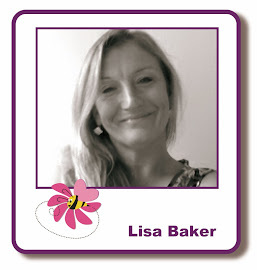 If you see something you like & there isn’t a direct link to it, please contact her at enquiries@lisabdesigns.co.uk . Today I’d like to show you a few things I made with Graphic 45 12x12 papers. If you haven’t used G45 products before, I can recommend them. Their papers are great quality, with lovely & sometimes quirky, vintage images. Here is a mirror from that well-known Swedish furniture company. I covered it with the pink, textured paper & cut elements from the Glimpse of Paris kraft paper. I inked each piece with Victorian Velvet & Tattered Rose Distress inks & distressed the postcard by scratching the edges & crumpling it. I was happy when I checked my collection of Card candi & found ones that perfectly matched the green, and drawn dress that I put on the dress form. Next is a little accordion book. The covers are ATC –sized, which I covered with lilac coloured textured paper. The kraft paper inside is G45’s very pretty Elusive Wings, which I coloured slightly with Vintage Photo distress ink & then spritzed with mica powders in water. Finally for today, here is the Queen of the Butterflies. I have no idea why I saw a paper doll when I looked at the Parlour Wall sheet, but I did. The butterflies are Kanban stamps, which I stamped onto Neenah Classic Crest card & coloured with Spectrum Noir pens. I added Glossy Accents to the eyes to give a little dimension. The queen is hanging on a wall in my craft room now & she is still making me smile. Before I go, I'd like to remind you that the new challenge is up. Click on the link to go directly to the challenge page, or click on the page above. Lisa & I really hope you will take part, the prize is a voucher to spend at Lisa B Designs . We started this challenge a few days early, but from September on they will run month to month. Don't forget the Maidstone class is this coming Friday, August 3. Any of you who were at the event on Saturday will have seen the card we will be making. I think you'll agree that it is gorgeous. If you would like to attend & haven't already signed up, email Lisa. She can tell you if there are places available. Thanks for stopping by, either Lisa or I will be back tomorrow. Until then, Keep crafting! I was going to post yesterday but after my Craft Event on Saturday everything hit me and I had to take a rest yesterday, I am listening to you all that keep telling me to slow down, Lol! I am feeling a lot better today and its business as usual. Can I first say a HUGE thank you to everyone that attended my Craft Event on Saturday, it was lovely to see sooo many familiar, past and new faces there. I do hope you all had a great day. Thank you for all your lovely comments, you all seemed to have a great time. Mavis and Jane managed to dodge the camera!! So well done to the winners, I will be in contact soon to get you those prizes! And to the lovely Helen Meighan from Helidot who is making her TV debut on Create and Craft today at 3pm with Jenny, Good Luck Helen!!! I will see a lot of you at Friday's workshop's at Fant Hall, remember if you are not attending you can come along to the shop at the hall. The shop is open from 2.30pm until 9.30pm and all are welcome. Remember to bring your loyalty cards with you. I am hoping to do at least one post every day this week on here and Facebook to bring you some of the samples close up from the day. Well all that is left to tell you for now is that Kirsten is going to be running a brand new monthly challenge on my blog so if you want to get involved click on the monthly challenge page at the top of the blog and read how to get started. You can win some great crafting goodies!!! Good morning blog visitors, Kirsten here. Yes indeed, this time tomorrow we shall be madly busy preparing the hall & getting ready to welcome you to what I’m sure is going to be a very enjoyable day. I’m still making samples – why is it the best ideas always happen at the last minute? And you should see the state of my craft room! If I remember, I’ll post a photo of it after tomorrow & before I start tidying. I’m heading in there right now, but before I go, here are sneak peeks of projects I made using Kanban products. So until tomorrow, have a lovely Friday. OMGolly, there is still so much to do! I can see today being another very long day but productive I hope. The sun is out again, so I think you will agree it makes us all feel better. I don't like to say it has been a little hot as we don't get it often enough but is has, phew!!! Well I am off now to get on sorting stock and finish the last bits of designing. I will try to pop back tomorrow to give you a little bit more. Wow did I have a particularly creative day yesterday!!! My creative juice's were really flowing and after a very long day, I managed to get a heap of samples done for Saturday. Happy Tuesday blog visitors, Kirsten here. It’s another beautiful day – how wonderful it is to feel warm! Just a few words from me today & two photos of one of my samples for Saturday. This comprises of Tim Holtz Kraft Resist paper, Distress inks & stains & assorted other goodies. Are my eyes deceiving me or is the sun out at last!! Wah Hoo summer is here at last! I can't believe there are only five more sleeps until my Paper Craft Event Day!!! There is so much still to do! New stock is still pouring in and I am still very busy making samples to bring you as much inspiration as possible, so don't forget those camera's. Everyone that is involved with the day is getting excited as we have so much to bring to you. Well that is all from me for now, Kisten and I will continue to bring you some more sneak peeks through the week. Enjot the sunshine and keep crafting. Hello again, I hope you’ve had a wonderful weekend. The weather has been kind to us & with luck, it’s going to continue being kind for the next few days. I have been very good & spent the day in my craft room again. I want to have lots of different samples to show you on Saturday & lots of techniques to demonstrate. Today’s sneaky peeks are from one sample. See the little flowers? I love them & I plan on buying a lot more. They come in lots of gorgeous colours & they will be on sale on Saturday. Happy Saturday, blog visitors. Seriously, the days are going by at the rate of knots. There are only seven more sleeps to the CRAFT EVENT & the excitement is building. Preparations are continuing, samples are still being made & we’re spreading the word far & wide. I want to post here every day between now & next Saturday, if I can, so I‘ll be keeping the posts short & hopefully, sweet. Below are two more of Lisa’s recent projects using Lavinia stamps. I especially like the little tag & the mirror is terrific. Again, Lisa used only Stormy Sky distress ink & black Archival ink. Here are sneak peeks of two of the samples I’ve made for the craft event. These were made with mostly Kanban products. OMG I can't believe it has been so long since I last blogged. I really do need someone to invent 48hr days!!!! Life is just whizzing by like a run away train at the moment. I have been really busy with Craft Shows and Dt work. Let's not to forget there are only 11 more sleeps before my Paper Craft Event Day on 28th July at Fant Hall, Barming ME16 8NN. 10 - 4pm. I am really looking forward to it and hope that it gets great support. So much much time, money, care and effort has gone in to the planning of it, not to mention the huge amount of samples that have been made to give you masses of inspiration. So don't forget your camera's on the day ladies and gents of course! My lovely friend Jenny from Hobby art will be showcasing a brand new stamp set on the day along with many of her other sets. Jenny always brings so many lovely samples with her. The lovely Helen Meighan from Helidot will be demonstrating her gorgeous range and has some lovely new itsy bitsy papers in beautiful pastels tones. If you like small and neat done to perfection you will love what Helen does. Kirsten will be getting inky and playing around with a bit of steampunk on the day showing you lots of different techniques. I will be showcasing some new Kanban and Hunkydory ranges and showing you how to get the most out of them, along with many other items. There are masses of new items and ranges, with loads of great offers, raffles, make and takes with our Rosemary and not to mention great food and refreshments. So come along and be inspired, have a bit of fun, get some great bargains and spend some time in a friendly crafting atmosphere with like minded people! Just send me a friend request and I will accept you and you get to see a lot of the new samples I am designing and what I am up to. I will be giving you little snippets of what to come on the day over the next 2 weeks along with Kirsten, just to get you excited! Hello blog visitors, hope you are all well. See the image above? The Paper Crafting event? It’s TWO weeks away. I hope you have the date in your diary, we are looking forward to seeing you. The weather may be miserable, but a day of crafting happiness & inspiration is not to be missed. And when you see the gorgeous goodies that Lisa has for you to buy. I had a sneak peek earlier this week & there are LOTS of new items, from stamps, to papers, to inks, to ribbons & much more. I’ve also seen the planned layout of Fant Hall & it’s looking great. Team LBD are busy making samples & planning our demonstrations. Rosemary will be doing make & takes, I’m serving up various techniques with Distress inks & stains, with some Adirondack inks & paint dabbers on the side. Don’t forget we have Jenny Mayes of Hobby Art & Helen Meighan of Helidot joining us & of course, Lisa will be demoing too. There will be refreshments, including an assortment of delicious cakes – whether you have one or several is entirely up you. So, save up your pennies, raid your piggybanks & join us on July 28. Lisa has been travelling the country demoing at various shows. Last week, she was at Art Stamps in Newbury & this weekend, she’s in Doncaster. She has sent me some photos of projects she has made using Lavinia Stamps, Stormy Sky distress ink & black Archival ink. This box is a beautiful example of monochromatic colouring; that one colour can be used to create such lovely shading is still a delight to me, especially as I’m so rubbish at it. I love that there is a different scene on each side, I think the owl is my favourite, although the bats are a close second. You can see from the photo above that stamping with the same colour ink is also very effective; it blends with the background colour & the black over stamping helps the focal image to really pop. Hope you like this project. I have a few more to show you, as well as a few sneak peeks of some of the samples for the crafting event. The one on July 28, remember? Thanks of visiting.